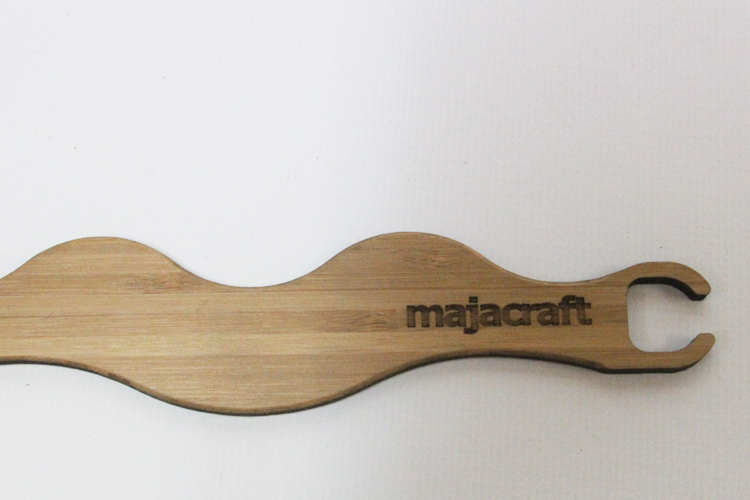 The wave shuttle is yet another innovative product from Majacraft. 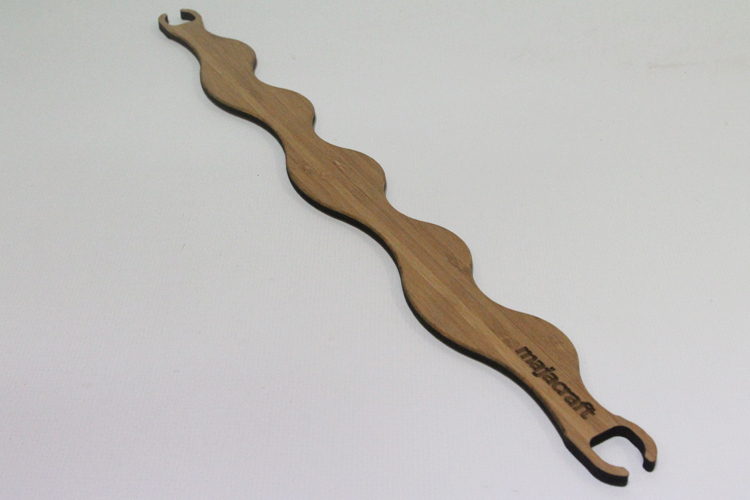 It is used in a similar fashion to a stick shuttle however it has a series of three ‘waves’ on one edge and five on the other. As you weave, instead of using the heddle as a beater, the edges of the wave shuttle can beat down your warp to create unique patterns in your cloth. It is 500mm long and is laser cut from 6mm bamboo plywood that is both light and very strong. The ‘throat’ of the shuttle is large so plenty of yarn can be wound on to the shuttle. 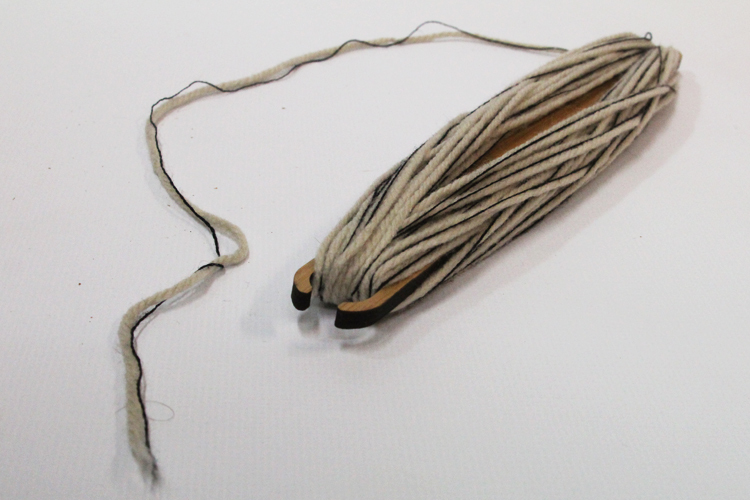 The Dynamic Heddle Loom comes with a set of three stick shuttles however these can also be purchased separately. 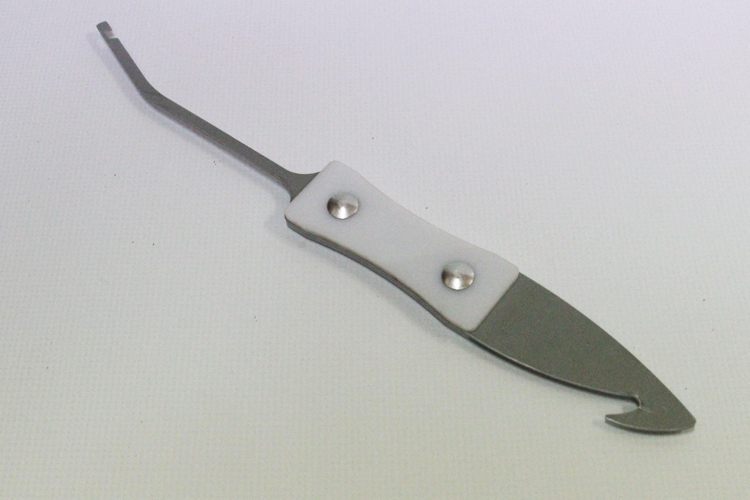 They are offered in 200mm, 350mm and 500mm lengths. As with the Wave shuttle, they are laser cut from 6mm bamboo plywood with the same enlarged throat for maximum yarn capacity. One feature of the Dynamic Heddle Loom that is often overlooked is the facility to do double heddle weaving straight out of the box (second heddle is not included in the purchase price). 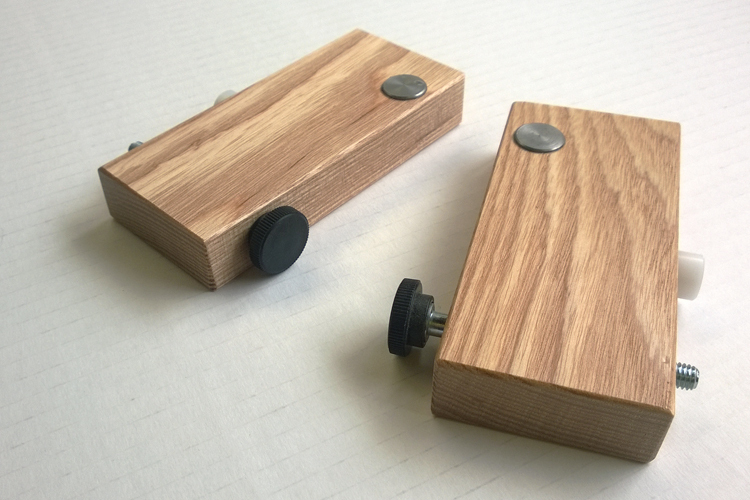 However, in an effort to make the warping simpler for weavers, we have some accessory heddle mounts that let you mount the front heddle with a nice gap between the heddles. 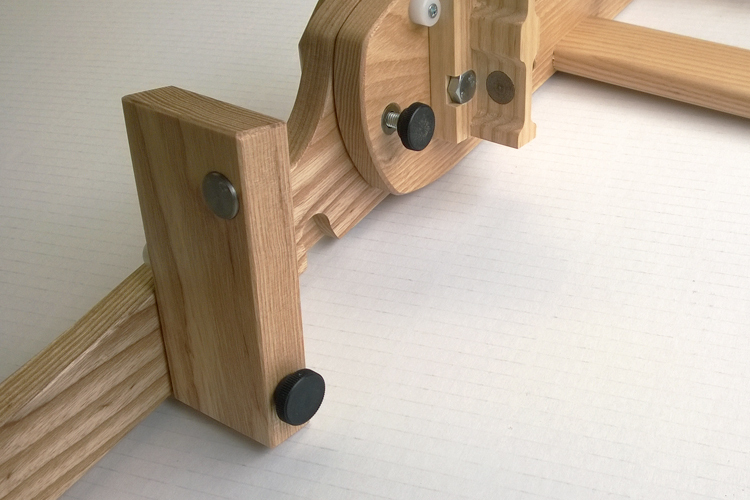 It uses a pair of metal discs that allow the magnets on the heddle to sit securely while you work. There are two nylon bumpers on the side to ensure the heddle is inclined at an angle the is easy to warp. 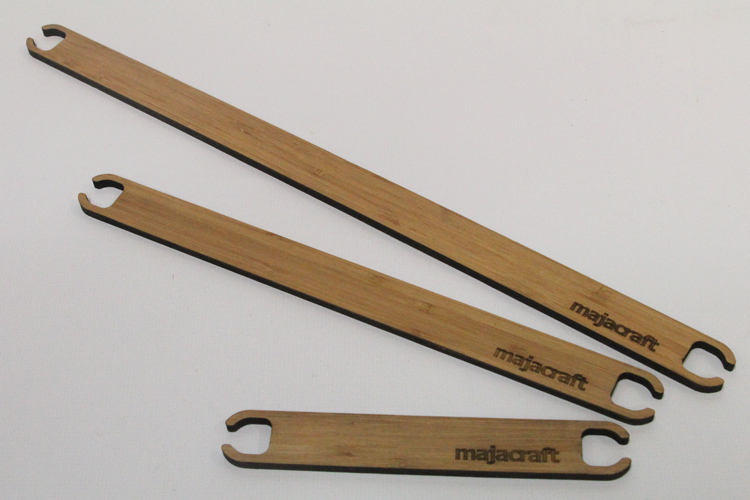 The Majacraft loom stand for the Dynamic Heddle Loom has been designed to be easy to use. The loom fits in two slots and has two finger screws for the braces. 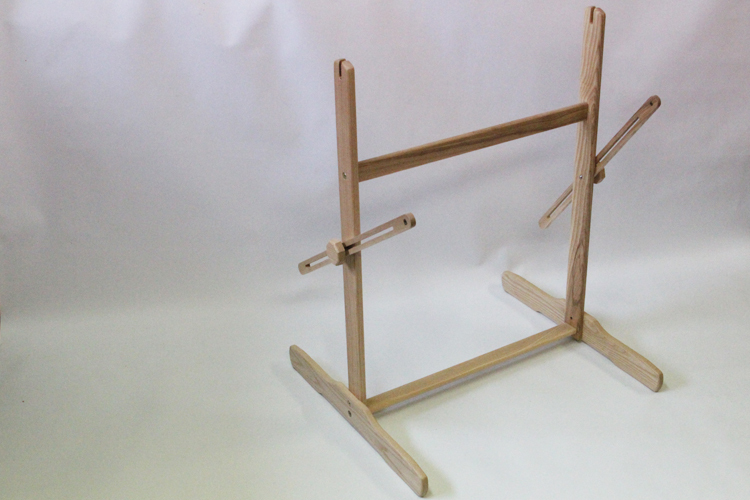 The stand uses a pair of sliding braces that allow the angle of the loom to be adjusted until it is perfect for you. These braces can be locked into position so the loom is very secure. The feet spacing is wide so the loom is stable and steady while you are working. A custom made carry bag is available if you like to take your weaving with you. 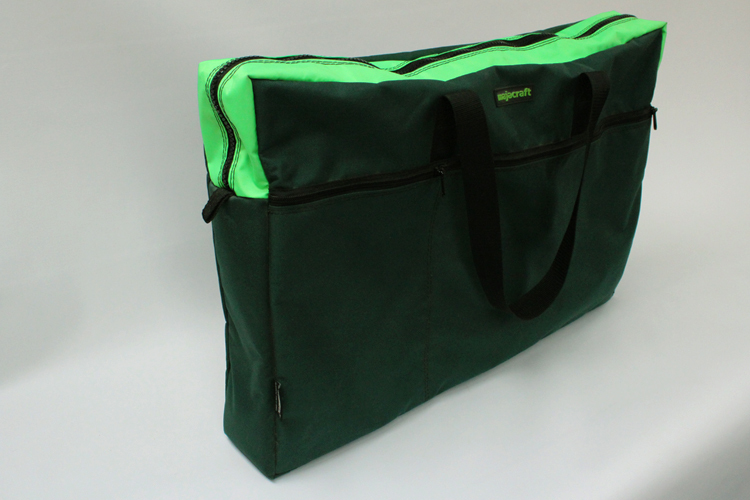 It is made with Majacraft green material with lime accents. The bag has extra pockets for warp pegs, tools and all the other indespensible knick knacks required for weaving. 2019 Bobbin colour of the Year! Tutorial: Make your bobbins uniquely yours! New Year, New Bobbin Colour!